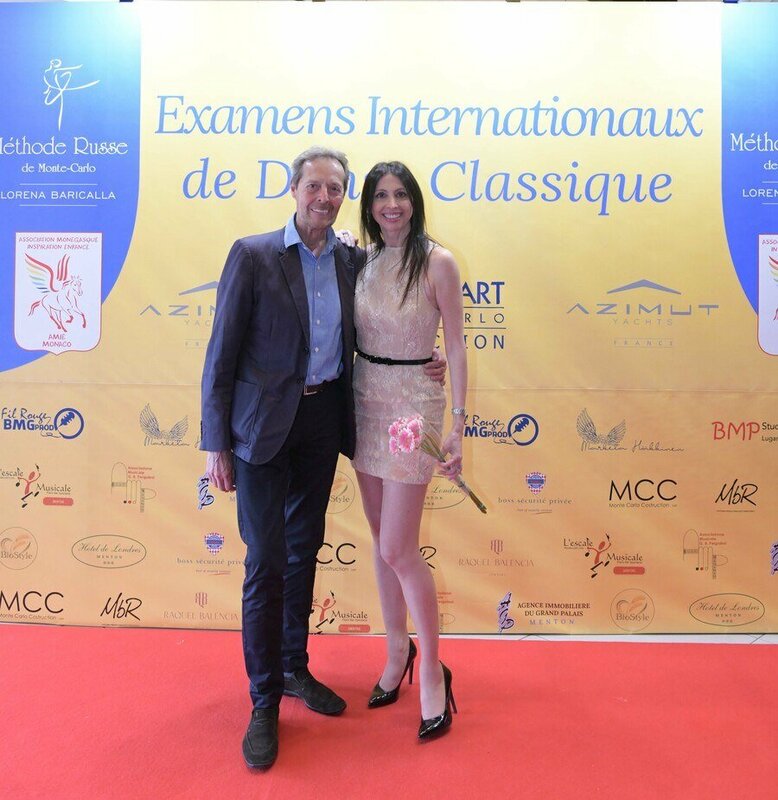 The 2019 Event of the International Ballet Exams of the “Méthode Russe de Monte-Carlo de Lorena Baricalla” (“Lorena Baricalla Monte-Carlo Russian Method”) took place in Monaco on Saturday 13 and Sunday 14 April in the prestigious Espace Léo Ferré, in the presence of leading figures from the world of dance, art and culture. This 4th Edition has been created in association with the Association Monegasque Inspiration Enfance A.M.I.E of Monaco and has been produced by PromoArt Montecarlo Production, which was also the Main Sponsor of the event. The “Méthode Russe de Monte-Carlo de Lorena Baricalla” – “The Lorena Baricalla Monte Carlo Russian Method”, is the result of the artistic and pedagogic experience of the international ballet star and choreographer Lorena Baricalla. It follows the Russian tradition which developed in Monte Carlo in the early 1900s, with the creation of Diaghilev’s Russian Ballets. Monaco born, Lorena Baricalla received her diploma with top marks at the “Princess Grace” Academy in Monte Carlo with Russian Master Marika Besobrasova. She danced the leading roles at the Monte Carlo Ballet – from “The Prodigal Son” by Balanchine, to “Marco Spada” with Rudolf Nureyev – and from there has made an international career spanning 35 countries around the world. 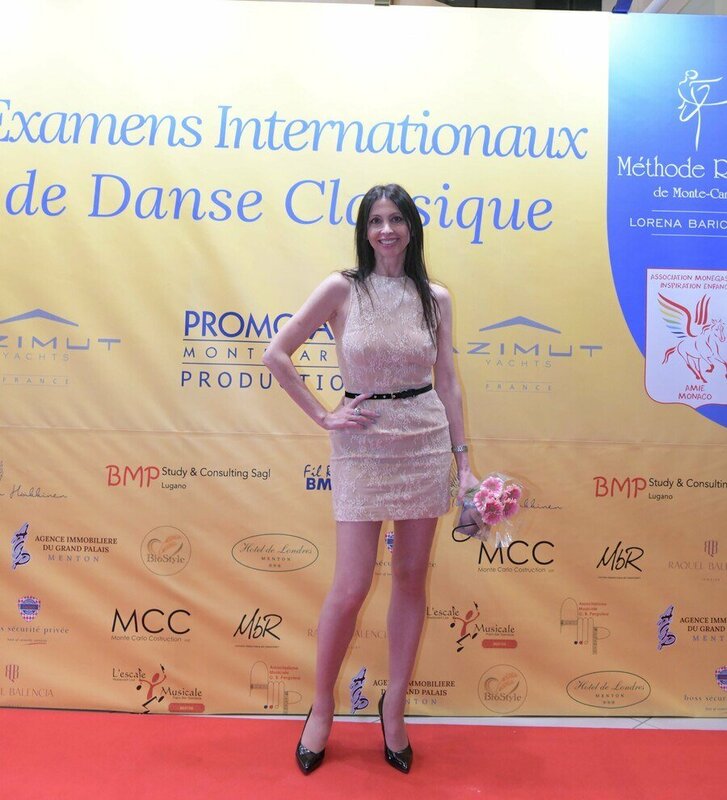 Parallel to her career as a performer, produced by PromoArt Montecarlo Production, Lorena Baricalla has created the “Method” to support young dancers and ballet schools. “The Method” does not simply represent a selection of Ballet’s rules. It is first and foremost a vision. The innovative idea distinguishing the “Method” is that of having created a “Global Academy” furnishing to the Affiliated Schools an Academic Training Programme based on international criteria. The “Method” can carry the pupil to a professional level or to a top quality amateur level. It is a unique evaluation system which allows for the pupil’s positioning in the international panorama of ballet according to 14 levels of study. Moreover the “Method” is based on a body-mind-soul Full Development Training of the athlete-artist, useful to the emotional balance and the well-being of each one. 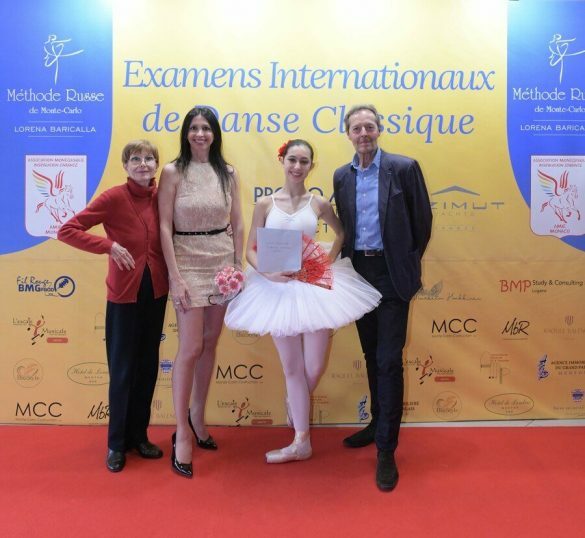 As a moment of comparison and interaction among the pupils coming from different countries and cities, the Event of the Exams has an educational and pedagogic goal and it aims at conveying to the young dancers the values of art, of culture and of dance – the symbol of stamina and discipline – through positive examples. A selection of numerous candidates from the currently Affiliated Schools to the Method in France, Monaco and Italy have participated at the 2019 Exams. Created less than 3 years ago the “Method” is spreading out and the last Affiliated School is based in New Caledonia. 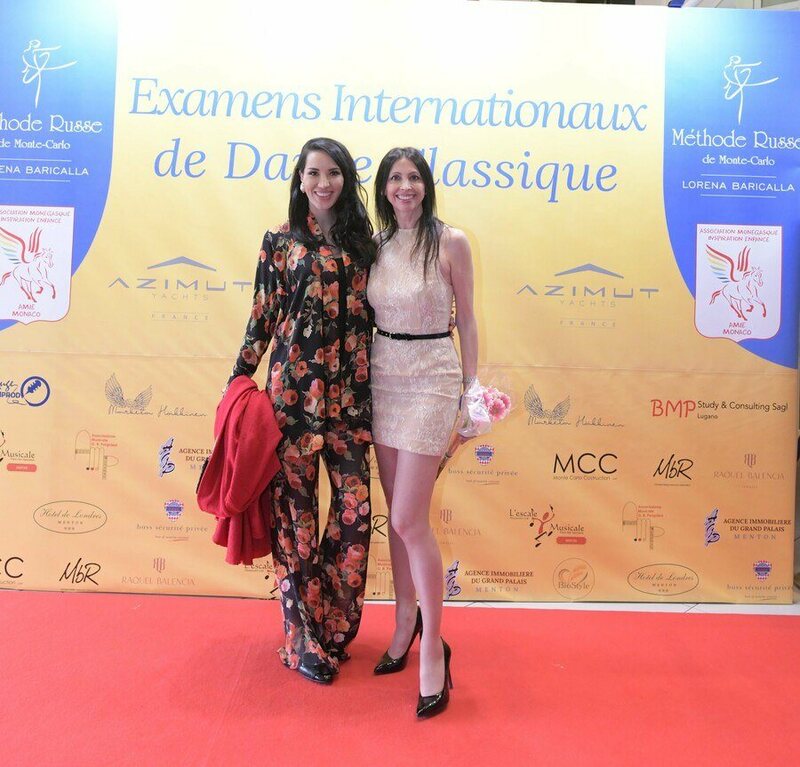 Master Classes with ballet star Lorena Baricalla and the young dancers have taken place on the first day (13 April) while the second day (14 April) has been dedicated to the International Exams of the “Method” followed by a short show with all the participants. 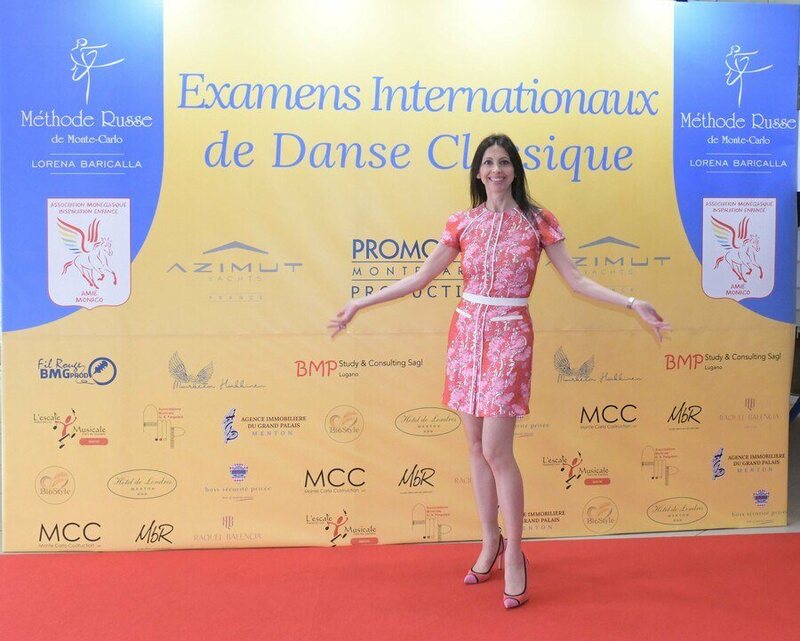 The ballet classes on Saturday and Sunday have been accompanied live at the piano by Imelda Cartwright, pianist at the Monte-Carlo Ballet. The Jury of the “Method” is always composed of ballet stars: this year with prima ballerina Lorena Baricalla there was Daniel Agesilas, principal dancer at the Russillo Ballet, her partner in the “Taming of the Shrew” created by Joseph Russillo at the Monte-Carlo Ballet. Agesilas has also directed for 12 year the Conservatoire National de la Danse in Paris. We also had the attendance of the Scala of Milan’s principal dancer Anna Razzi, who also directed the San Carlo Theatre Ballet School in Naples for 15years. Only Juries of Stars has always been the choice: in 2016 with Lorena Baricalla we had Marco Pierin, principal dancer at the Scala of Milan and Randy Diamond, principal dancer at the Stuttgart Ballet. Both have been her dancing partners. In 2017 Eric Vu An, principal dancer at the Paris Opera, who was her partner at the Monte-Carlo Ballet in “Scheherazade”, and prima ballerina Luciana Savignano of the Scala of Milan. 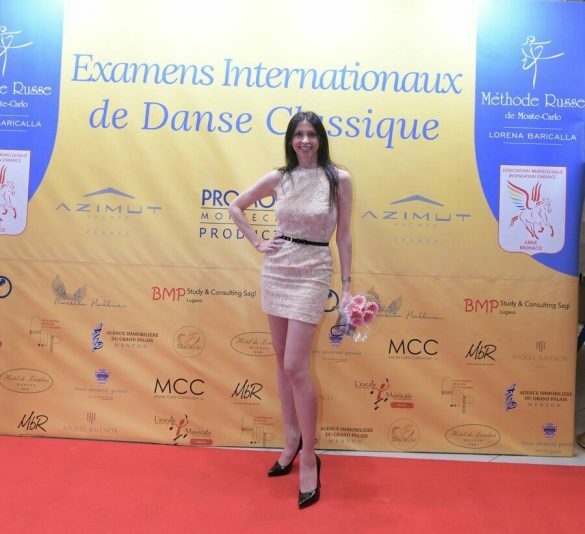 In 2018 she has been joined on the Jury by principal dancer Jozef Varga, who is performing at the Het National Ballet and who danced in the past in the choreographies of Lorena Baricalla for the shows produced by PromoArt Monte-Carlo; and the principal dancer and choreographer Toni Candeloro, guest in international companies such as the Cuba Ballet and a specialist of Ballet Russes repertoire. The 2019 Event has been supported by Azimut Yacht France as Gold Supporting Partner and by the Benefactor Partners BMP Study & Consulting Lugano of Gabriele Moleti and the fashion brand Nordic Angel by Marketa Hakkinen. It also benefited of the support of Fil Rouge BMG Prod. Benefactor Sponsors were the Associazione Musicale Pergolesi of Adriana Costa in Vallecrosia (Italy), Boss Security Monaco and Bio Style Milano of Patrizia Ravelli. Emotion packed moments filled the presentation of the scholarships for the Summer Workshop that have been granted to deserving young dancers of the Affiliated Schools by: MC Construction of Luciano Garzelli, MBRart Monaco of Rebecca Ballestra, the Escale Musicale Restaurant Live Music in Menton of Martial Benhamou and Jean-Pierre Torres, the Real Estate Agency Grand Palais in Menton of Sébastien Loffredo, the Hotel de Londres in Menton and by PromoArt Montecarlo Production. We had the attendance of Daniel Boeri, President of the Culture Commission of Monaco and His Excellency Cristiano Gallo, Italian Ambassador in the Principality of Monaco. 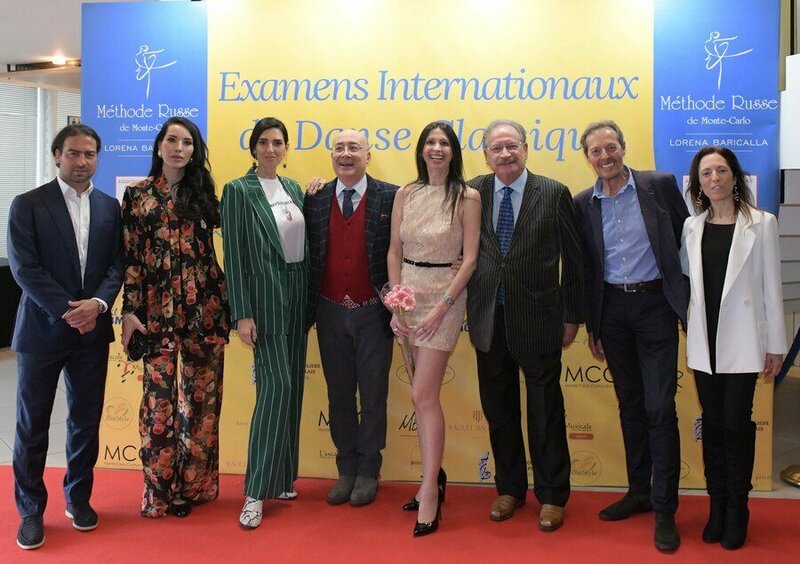 An Honorary Committee has attended, made up of international artists and well-known figures: with Alexandra Myasnikova, President of the Association Monegasque Inspiration Enfance A.M.I.E. of Monaco and Sebastian Von Bulow, Vice-President, we had the fashion designer Raquel Balencia, brand Milano based who dressed Lorena Baricalla in this occasion ; Rebecca Ballestra, visual artist, founder of MBRART Monaco and of the « Festival for the Earth Project », who is engaged in the creation of projects for the social transformation ; Flavia Cannata, Fashion Art Ceo, founder of Always Support Talent and Co-founder of Carredor Monaco ; from the construction sector Luciano Garzelli represented by his son Stefano, Ceo of MC Construction ; from the music world the agent Martial Benhamou of BMG Prod. ; from the real estate and tourism sectors of Menton, France : Sébastien Loffredo, owner of the Real Estate Agency Grand Palais and Nicole Claisse, Director of the Hotel de Londres ; and the pianist of the Monte-Carlo Ballett Imelda Cartwright. In addition, on the Saturday, the young dancers have taken part in “Meetings with the Artists” that have been organized with the pianist Imelda Cartwright on how to accompany ballet and Saverio Chiappalone about Photography and Art. 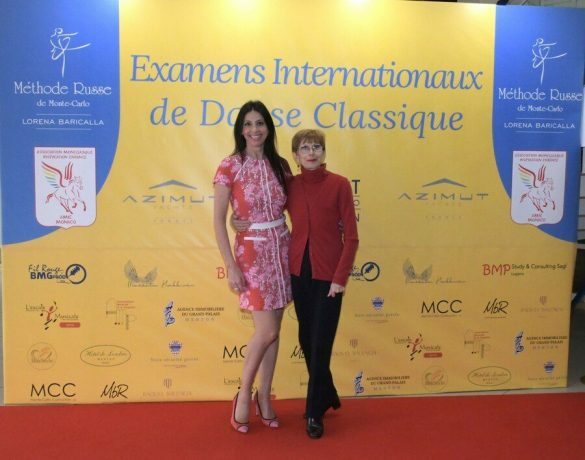 Alexandra Myasnikova, President of the Association A.M.I.E Monaco talked about “Learning the Compassion – help to the other children». 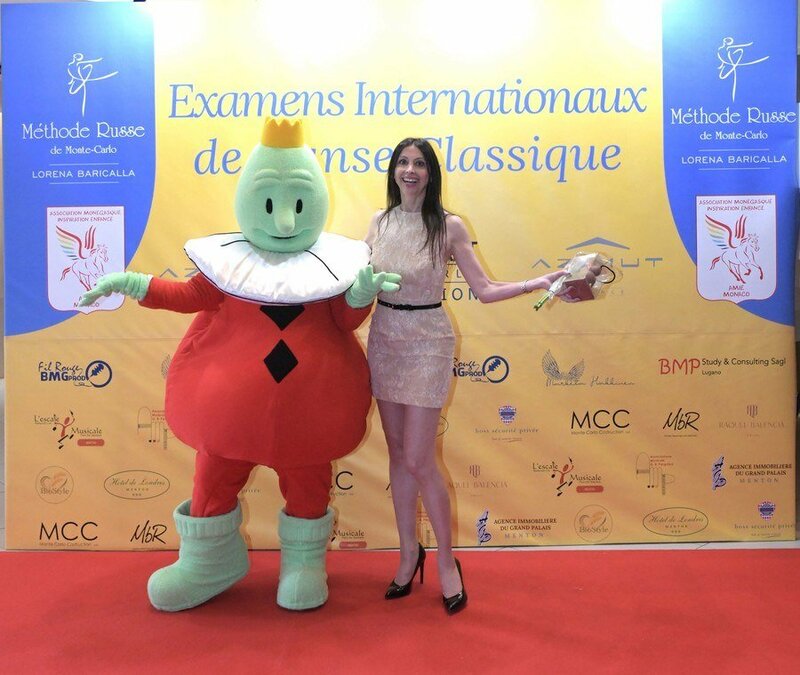 Moreover the 2-days have bene animated by Pacy, the Mascotte of the Association. 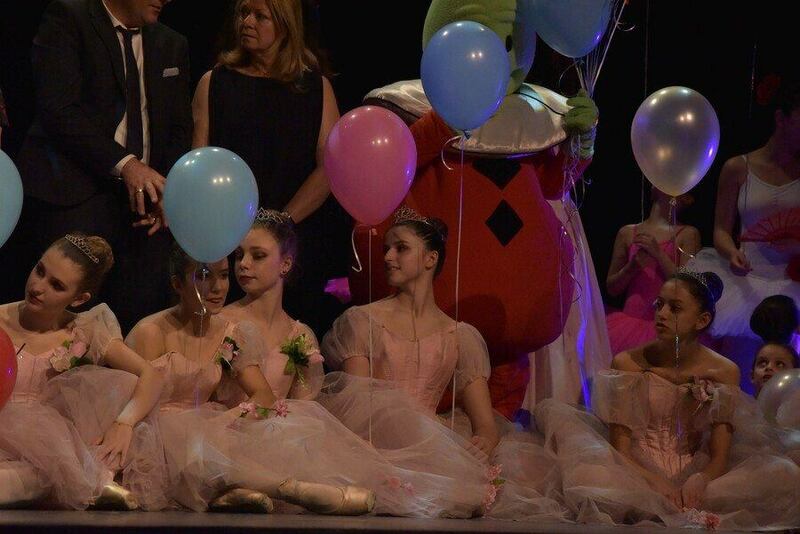 Pacy also filled the stage with colored balloons for the grande finale with all the children and young people. A moment of joy sharing the passion for dance!